When we think about fall color, we usually think first of trees or shrubs that have foliage that change colors, like red maples or burning bush. Perhaps flowering perennials like Goldenrod or Asters come to mind. They should as they are among the best for late season interest (and pollinator benefit). 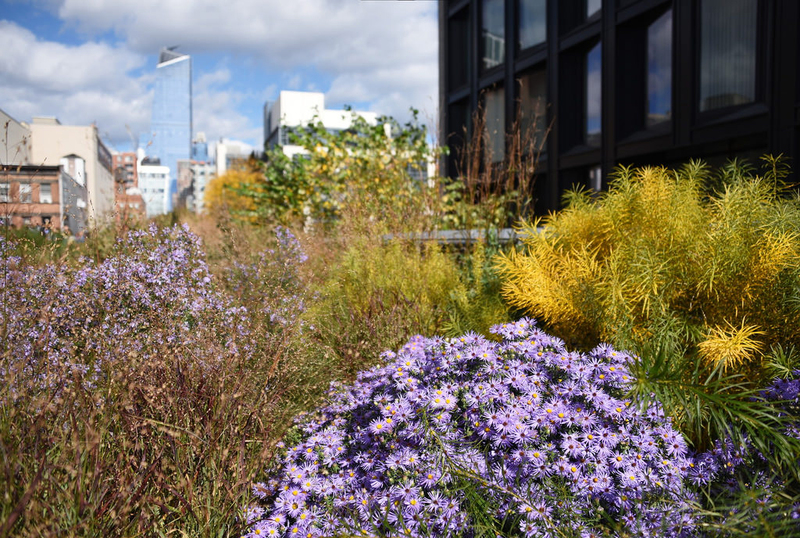 Here are 3 native perennials for fall interest you may not be aware of and yes I am including a Goldenrod and Aster, but lets start with one that’s not. OK, I am cheating a bit as I have talked about this plant before in a post before Arkansas blue star, a native that shines in the fall. Regardless, this is a plant whose foliage turns to a glowing golden color as long as it gets adequate sunlight. 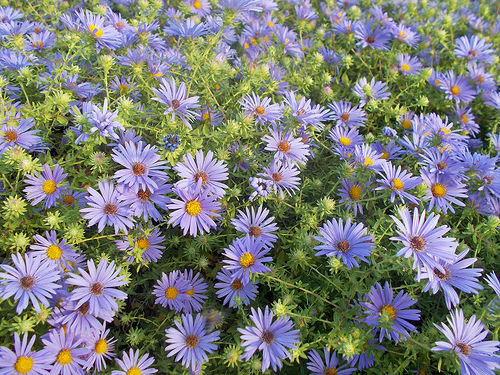 Aromatic aster has light blue flowers on 1 to 3 foot stems. It flowers from September until frost comes. It is reliably hardy in my area and considered by many to be among the best overall garden performers of the Asters even though many people have never heard of it. 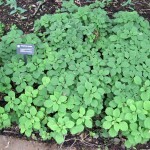 It grows about 1′-2′ tall and wide and occasionally up to 3′. I started some seeds of these indoors this winter and have tiny plants that will definitely take a few years to reach mature size. They are probably a plant you should buy as a larger plant. There are cultivars available. 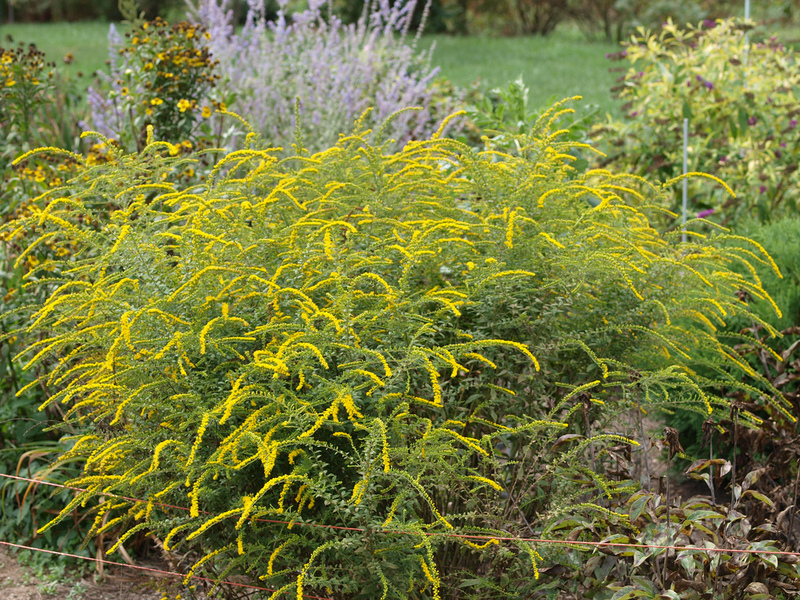 The one I see most is ‘October Skies’, which is bushier and grows to about 18 inches high and looks like a great front of the border plant and probably an improvement over the species for general garden use. 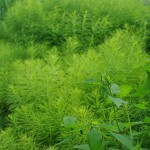 This goldenrod has the advantage of not being aggressive like many goldenrods. It grows about 2-3′ tall by 3-4′ wide and will remind you of a 4th of July celebration with it’s flowers. 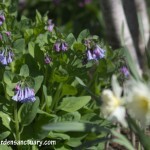 It is a nice plant to mix with some of the taller purple blooming Asters that can get rather leggy. 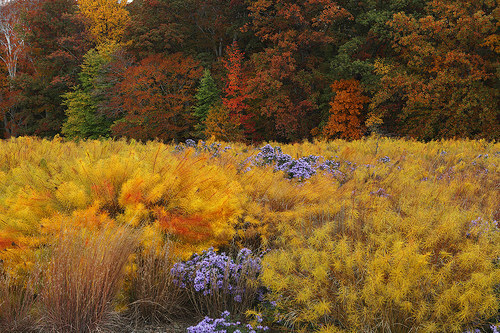 It needs full sun and will reward you with this late Summer early Fall bloom display. 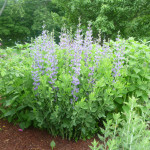 Maybe you can add one of these three unique perennials to your Fall garden scene of Red Maples, Serviceberry, Witch Hazels and Black Eyed Susans. Thank Jim for the post. I love the Fireworks Goldenrod.